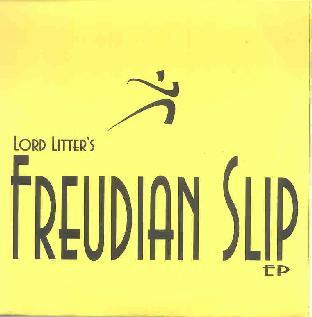 Lord Litter's latest is a short 4-song CDEP that is, according to the promo sheet, influenced by an experimental performance workshop he was involved with. And the music certainly is of a theatrical persuasion. "Take Me Back" features Lord Litter singing in his Tom Waites style with acoustic guitar, organ and percussion against a theatrical carnivalesqe atmosphere. "Easy Listening (Dib Dib)" is another acoustic tune, again with a carnival theater feel, but with atmospherics, voice samples, and other freaky sounds that liven things up. "Rock ‘N Roll" is a wild avant-pop party tune that I enjoyed. And for "Dub Diabolo" Litter sets things in motion with a quirky dancey Dub rhythm and layers over it with cool space jazz guitar and piano. My favorite tune on the CD. A short set... but a sweet one with some very cool tunes. I would have liked a full length disc of this stuff. For more information you can visit the Lord Litter web site at: http://www.LordLitter.de. Contact via snail mail c/o Lord Litter; Dittmar; Pariser Str. 63; 10719 Berlin; Germany.